Nadmenny Millicent: The Hillary Moment, President Obama can't win by running a constructive campaign, and he won't be able to govern if he does win a second term.. The Hillary Moment, President Obama can't win by running a constructive campaign, and he won't be able to govern if he does win a second term..
A very interesting opinion piece on the WSJ. Never before has there been such an obvious potential successor—one who has been a loyal and effective member of the president's administration, who has the stature to take on the office, and who is the only leader capable of uniting the country around a bipartisan economic and foreign policy. President Obama is now neck and neck with a generic Republican challenger in the latest Real Clear Politics 2012 General Election Average (43.8%-43.%). Meanwhile, voters disapprove of the president's performance 49%-41% in the most recent Gallup survey, and 63% of voters disapprove of his handling of the economy, according to the most recent CNN/ORC poll. Consequently, he has to make the case that the Republicans, who have garnered even lower ratings in the polls for their unwillingness to compromise and settle for gridlock, represent a more risky and dangerous choice than the current administration—an argument he's clearly begun to articulate. One year ago in these pages, we warned that if President Obama continued down his overly partisan road, the nation would be "guaranteed two years of political gridlock at a time when we can ill afford it." The result has been exactly as we predicted: stalemate in Washington, fights over the debt ceiling, an inability to tackle the debt and deficit, and paralysis exacerbating market turmoil and economic decline. If President Obama were to withdraw, he would put great pressure on the Republicans to come to the table and negotiate—especially if the president singularly focused in the way we have suggested on the economy, job creation, and debt and deficit reduction. By taking himself out of the campaign, he would change the dynamic from who is more to blame—George W. Bush or Barack Obama?—to a more constructive dialogue about our nation's future. Even though Mrs. Clinton has expressed no interest in running, and we have no information to suggest that she is running any sort of stealth campaign, it is clear that she commands majority support throughout the country. A CNN/ORC poll released in late September had Mrs. Clinton's approval rating at an all-time high of 69%—even better than when she was the nation's first lady. Meanwhile, a Time Magazine poll shows that Mrs. Clinton is favored over former Massachusetts Gov. Mitt Romney by 17 points (55%-38%), and Texas Gov. Rick Perry by 26 points (58%-32%). President Bill Clinton reached a historic agreement with the Republicans in 1997 that led to a balanced budget. Were Mrs. Clinton to become the Democratic nominee, her argument would almost certainly have to be about reconciliation and about an overarching deal to rein in the federal deficit. She will understand implicitly the need to draw up a bipartisan plan with elements similar to her husband's in the mid-to-late '90s—entitlement reform, reform of the Defense Department, reining in spending, all the while working to preserve the country's social safety net. By going down the re-election road and into partisan mode, the president has effectively guaranteed that the remainder of his term will be marred by the resentment and division that have eroded our national identity, common purpose, and most of all, our economic strength. If he continues on this course it is certain that the 2012 campaign will exacerbate the divisions in our country and weaken our national identity to such a degree that the scorched-earth campaign that President George W. Bush ran in the 2002 midterms and the 2004 presidential election will pale in comparison. We write as patriots and Democrats—concerned about the fate of our party and, most of all, our country. We do not write as people who have been in contact with Mrs. Clinton or her political operation. Nor would we expect to be directly involved in any Clinton campaign. 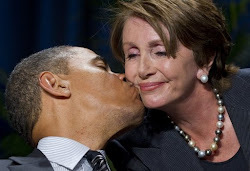 If President Obama is not willing to seize the moral high ground and step aside, then the two Democratic leaders in Congress, Sen. Harry Reid and Rep. Nancy Pelosi, must urge the president not to seek re-election—for the good of the party and most of all for the good of the country. And they must present the only clear alternative—Hillary Clinton. Mr. Caddell served as a pollster for President Jimmy Carter. Mr. Schoen, who served as a pollster for President Bill Clinton, is author of "Hopelessly Divided: The New Crisis in American Politics and What It Means for 2012 and Beyond," forthcoming from Rowman and Littlefield.